Used in the Auto Industry because of its ease in producing complex shapes at a minimal cost. Unfortunately as the years go by this material oxidizes and rots easily which makes it difficult to restore. A 1960 Corvette window post after stripping and glass bead blasting. 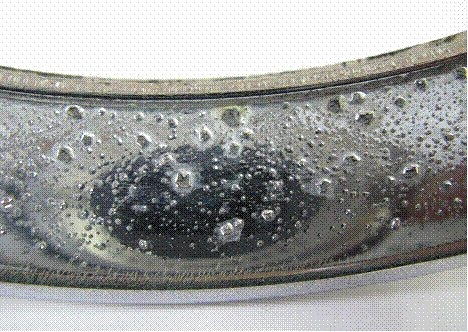 Pitted areas are where the metal has oxidized. Smaller pits will be polished out, deeper pits will be filled with solder or silver solder to create a smooth and solid surface for further processing. The same 1960 corvette window post restored to original condition. 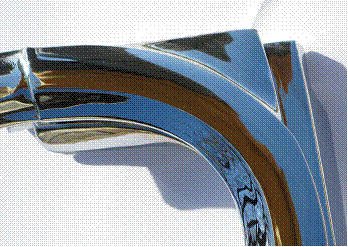 The process mentioned above is just one example of how time consuming pot metal/die cast pieces can be to work with. Some pieces may not take as much labor and some may take much more. These factors are what sometimes make estimates on this type of metal difficult. 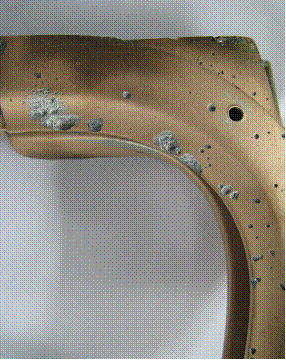 The issues due to rotten/oxidized metal are not always apparent until after the metal is stripped and cleaned.